Happy People / DJ’s & Performances / Great Cocktails / Outdoor Bars / Free Entrance. 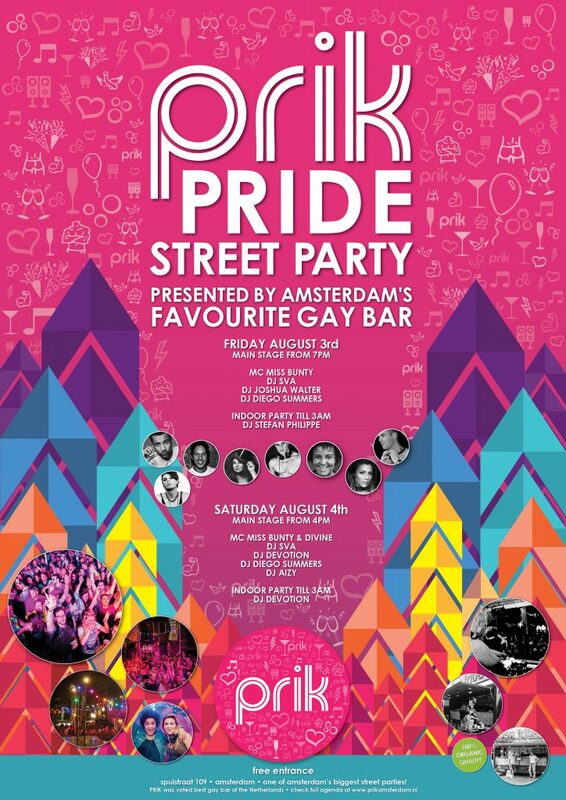 Big street party with on stage famous Amsterdam’s DJ’s and MC’s bringing you uplifting vocal Dance music and a happy vibe to celebrate our freedom and pride! Together with the outdoor bars, food trucks serving 100% organic food and a happy crowd all the ingredients are there for a wonderful party. Our famous cocktails and prosecco from tap are available indoors. The after party will continue inside until 3 am. Op vrijdag 3 augustus trapt Brug34 het Pride-weekend af met de fameuze HeBiHo Pride Party. Vanaf 19:00 uur staan de dranken koud en gaat de gezelligste vrijmibo van het jaar van start. Eenmaal uitgeborreld zullen onze DJ’s tot diep in de nacht zorgen voor een lekkere mix en mag er uiteraard gedanst worden. Kortom, het belooft weer onvergetelijk te worden! On Friday, August 3, Brug34 will kick off the Pride weekend with the famous HeBiHo Pride Party. 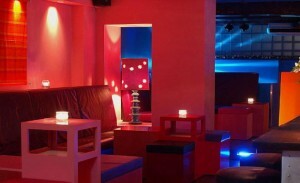 The party will start from 19:00 hours with cozy drinks during our weekly ‘Vrijmibo’ (Dutch for after office drinks). Once drilled, our DJs will provide the best music until the early hours. So let’s dance and have fun. It promises to be unforgettable again! Van 30 juli t/m 1 augustus staat Zandvoort in het teken van Pride at the Beach. Daarom organiseren wij, in Holland Casino Zandvoort, op maandag 30 juli een speciale Rainbow Monday avond! Kortom, het wordt een gezellige rainbow avond. Dress to impress. Iedereen is welkom! PRIK is fun, friendly and comfortable any time of the day. We are open 7 days a week from 16:00 and the environment changes with the mood of the moment. From a relaxing loungy bar where you can sip a cocktail and nibble on our snacks to a bouncing party place with great DJ’s at the weekends. PRIK has been serving Amsterdam since 14 July, 2006. We are so thankful to all of you for the amazing times you continue to create at PRIK. We owe our success to all of you! On our menu you’ll find delightful snacks and surprising ‘liquids’ – with or without a little ‘prik’ (as prik means bubbels in Dutch). You’ll love our wide range of cocktails, wines and PRIK-wine (Prosecco) on tap! And our prices are friendly too, so you can always try something new if you’re feeling adventurous. The most recent award was the prestigious Rainbow Award for best gay bar of the Netherlands 2015!